Michael Moses is a unique jewelry showroom located in beautiful, Newport Beach, CA. It first opened its doors in the year 2000. 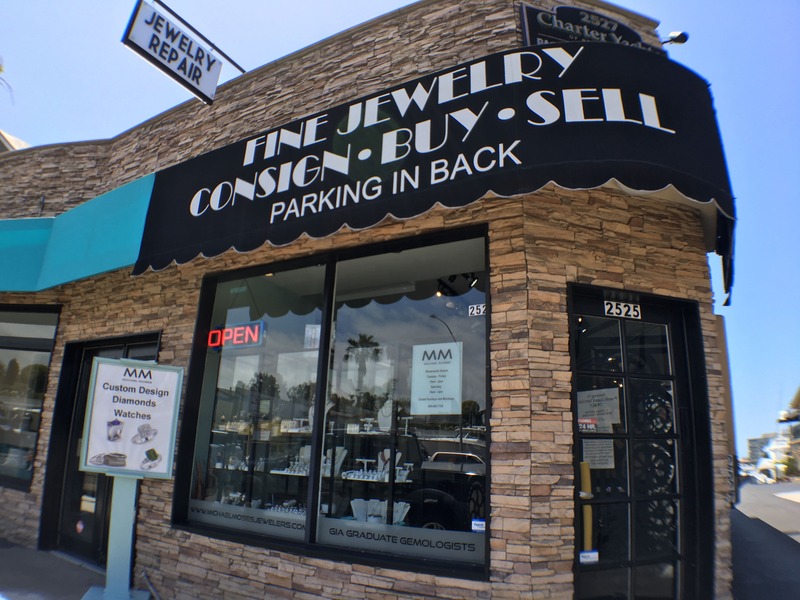 It was then that Michael Moses Cortez, Owner and Founder, fused his enthusiastic passion for jewelry, diamonds and helping others. Michael, knows as “Mike” to his family, friends and customers, is a third generation jeweler and GIA Graduate Gemologist. Throughout the years, Mike’s gemological expertise and experience has helped him grow MMJ into what it is today. Michael Moses is a leading resource for high quality diamonds of all colors, shapes and sizes. There are several GIA graduate gemologists on staff, searching the globe for bargains to pass along to its valued customers. Michael Moses also offers custom design services. The department is under the direction of Ms. Whitney Van Hoy, a graduate of the Revere Academy of Jewelry Arts, as well as, of the GIA. If you can envision it, Whitney can create it. Come on in to see what she can do for you. In addition, Michael Moses offers expert, fine jewelry restoration and repair services. If it’s broken, more than likely, we can fix it, correctly, the first time. Let us bring your pieces back to life and help them look better than ever. And that’s not all, Michael Moses is a buyer of exceptional previously-owned and estate jewelry. We are continually seeking to find fine designer items like Chopard, H. Stern, Patek Philippe, Tiffany & Company, Van Cleef & Arpels, Rolex, Cartier, Mikimoto, David Yurman, Tacori and Verragio, just to name a few. We invite you to come visit our showroom or to shop online (coming soon) for our latest finds. So this is Michael Moses; Now that you know a bit about us, let us get to know you, your needs and how we can best serve you. Our staff is friendly, helpful and ready to assist you, any way possible. Call, email or stop by. Whatever you prefer, just don’t hesitate to contact us. We look forward to serving you soon. To read more reviews, check out our Yelp and Facebook pages. My favorite place to shop.Often just to look it’s all good. It really is the best jewelry store I have ever encountered. It is fair , fun, creative, friendly and Michael and his wife Whitney could not be more helpful. They treat you the same if you spend a little or a lot. I just moved to Newport Beach, and I needed to get some links taken out of my watch. I called Michael Mosses Jewelers, and they set aside time to not only take the links out, but educate me on diamonds. They provided excellent service to me, and they possess some of the most beautiful diamonds I’ve ever seen. I recommended Michael Mosses Jewelers in Newport Beach CA to anyone looking for diamonds. Staff is inviting, friendly, educated, and provide a great environment.